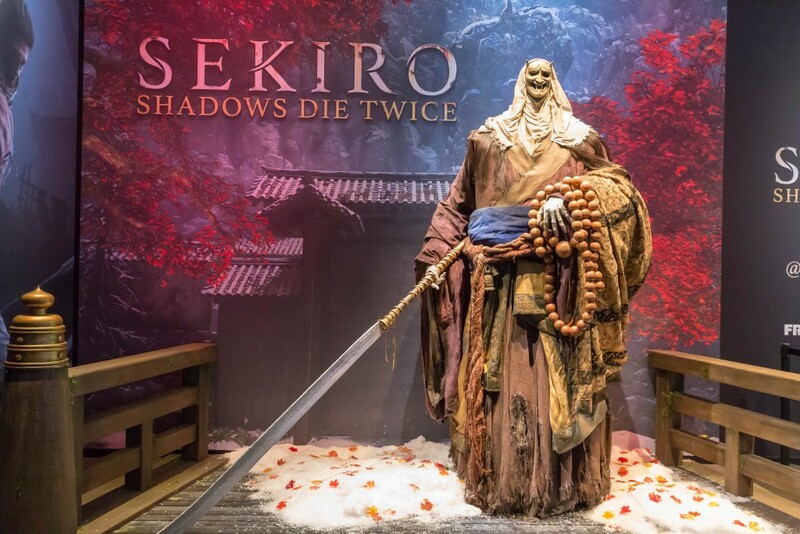 After successfully tackling high fantasy worlds in “Dark Souls” and a dark gothic universe in “Bloodborne,” From Software decided to make the players suffer in a new game environment called “Sekiro: Shadows Die Twice.” This Japanese samurai world introduces new and more challenging combat mechanics. This creative team has published more than a handful of releases with different storylines, but were always similar in their combat system. After four “Souls” games and one “Bloodborne” release, the games were becoming too similar in their core design, even though the atmosphere was always fundamentally different and captivating. This game is not an exception to that rule, with a few big changes in the style and the pace of the combat, while still staying familiar to the fans of the developer. On the other hand, the atmosphere and world of the game are incredibly different from what we have learned to expect previously from the developers. The biggest difference in the gameplay is the speed and the movability that the player has in all the aspects of the game, making it more engaging for newcomers, and more difficult for everyone. The graphics and animation are mesmerizing, beautiful on both consoles and the PC. The movement animation is fluid, and usually more precise than in previous games, making the combat less infuriating and even more skill-based than before. The story is scarce and mysterious as always, but the English voice acting has improved drastically, making the English dub as enjoyable as the original Japanese voiceover. The game’s story is elevated by the quality of the voice acting, which helps immensely, especially when the players are engaged in what the characters are saying, making it easier to follow the complexities of the storytelling. The music and the sound design are improved upon as well, in almost every aspect imaginable. The musical score is an incredible addition to the already well-established atmosphere, and the sound design is very particular. Trying to decipher the position of the enemies will be very important to every player, and its quality makes that doable and exciting. Naturally, the game is not a perfect experience, especially for the players that are not used to clunky movement and constant toggling of items and weapons. Some of the well-established mechanics that were a part of previous games of the same developer remain in this one too, causing occasional issues in combat particularly. The boss fights have a very large part to play in the world of “Sekiro: Shadows Die Twice,” and most of them are highly challenging and enjoyable. The bosses, as well as most common enemies the players will encounter in their difficult journey, are well designed and vastly different from each other, keeping the adventure fresh and interesting to the end. Stealth also has a big component here, and it is sometimes essential to traverse certain areas without dying numerous times or just plainly wasting the players’ time. As with some other gameplay components, stealth is extremely entertaining, while also sometimes being really annoying because of how inconsistent the A.I. of the enemies is. In the end, “Sekiro: Shadows Die Twice” is an improvement over FromSoftware’s previous installments in almost every aspect of video game design. It is still a signature difficult and challenging game, but the complexity and the beauty of the in-game world as well as the creative gameplay make it one of the best releases this year in the video game industry.